and that means blog hop time!! I used a Bug & Roo Stamp named Hazel. She is drawn by ME!!! 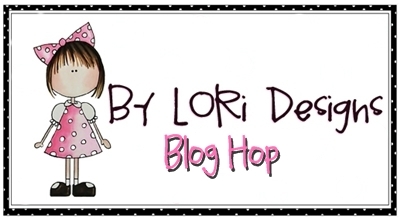 please hop back here for the main blog hop order! Such a cute card! You are so talented! Cute card Hannah. Congrats on the new release of Bug & Roo digi's - awesome, loved colouring up 'Sunny' this time around.....too cute! You have done a WONDERFUL job with this release, Miss Hannah-bug! 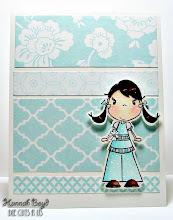 Your images are soooo cute and the card you've created with Hazel is adorable too! I love the layout and the texture. 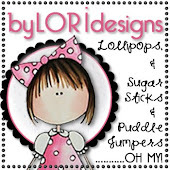 She is super adorable and all of your new Bug and Roo's are so fun!! Thank You Sweetheart for all you are and all you do!! I LOVE LOVE LOVE your card and feel so blessed to work along side of my baby girl!! You are talented and I am proud to be your Mommy!! ♥ YOU Sweetie!!! this is sooo super sweet! Hannah, I love your card and all of your bug and roo images are amazing. Keep creating as I can't wait to see what is next. Adorable card Hannah! You're super talented...can't wait to see what else you come up with. Oh, Hannah your images are so adorable. Love your card, it is so sweet! You are very talented and your cards are sooooo good! Thank you for sharing some crafty inspiration and keep up the great work! You are one talented girl Miss Hannah. I love all your images and this card is Super! Hannah I just love your designs and your card is very cute! Oh goodness! You are one extremely talented girl! 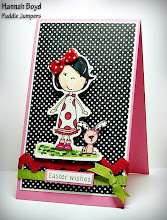 This card is absolutely fabulous and so are your designs! I love them all! Absolutely Beautiful card!!! Amazing image!! You are one mighty talented young girl! Great drawing and darling card! Great job Hannah! Your card is so adorable.